Bay roan Halfbred Connemara colt out of Brambleridge Truth or Dare, a Connemara Sport Horse mare. Sold to a 4* event rider. 16 hds at 2 years old. Chestnut roan Purebred Connemara filly out of Circe's Foil by *Grange Finn Sparrow. 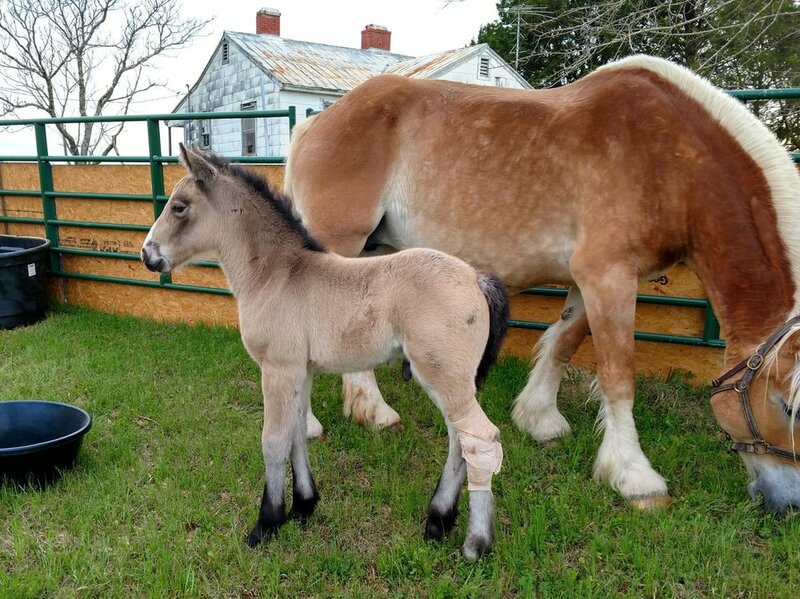 Sold to a Connemara breeder in VA.
Buckskin roan Halfbred gelding out of Sparrow's Tiptoes, a Halfbred Connemara mare. Sold to an AA in CA. Grey (from chestnut roan) gelding out of a Thoroughbred mare. Owned by a family in GA.
Grey (from chestnut roan) Halfbred Connemara colt out of Full O'Fancy, an Irish Sport Horse mare by *Pallas Digion. Bred by Southgate Farm in GA. FOR SALE. Grey (from buckskin) Purebred Connemara filly out of *Gentle Cailin by I Love You Melody. Bred by Farkleberry Farm in SC. Retained by her breeder. Grey (from bay roan) Halfbred Connemara filly out of Stella, a grade pony mare. 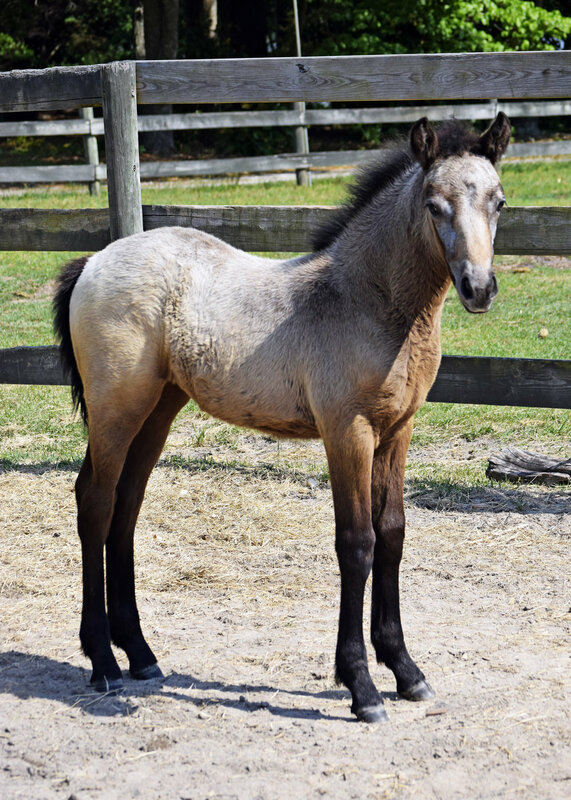 Bred by Kitty & Lia Mackie in GA.
Grey (from bay roan) Halfbred Connemara filly out of Thrill, a TB mare. 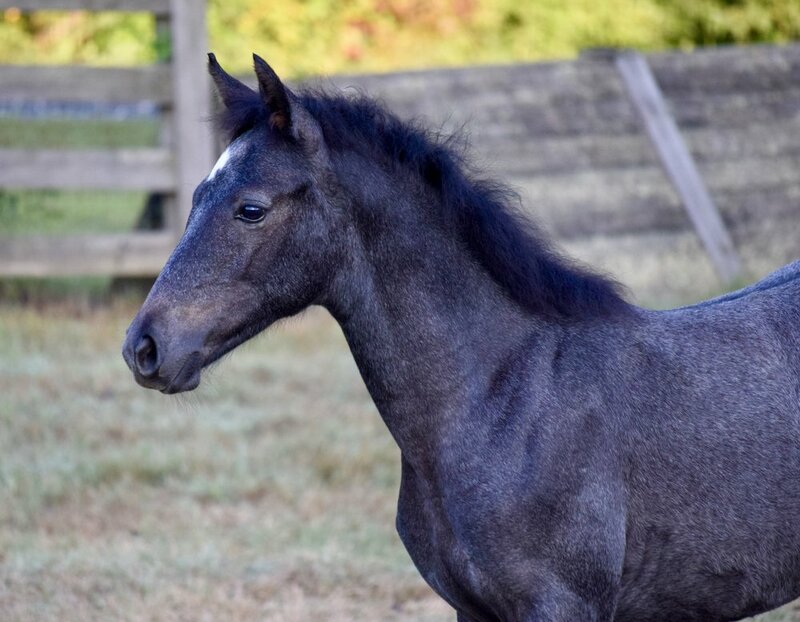 Sold in-utero to Catoctin Sporthorses in PA.
Grey (from black roan) Halfbred Connemara colt out of Stella Luna, a TBxPaint mare. Bred by Ashley Giles in GA, sold to VA as an eventing prospect. Buckskin Halfbred Connemara colt out of Meryl, a Belgian mare. Bred & owned by Janice & Joshua Simons, Infinite Loop Farm, AL. 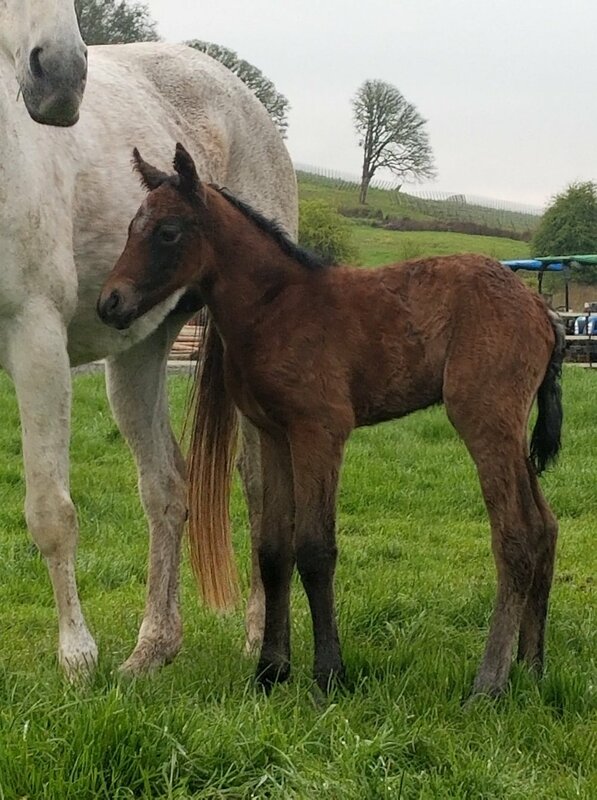 Buckskin Halfbred Connemara colt out of Sparrow’s Tiptoes, a Connemara x TB mare by *Grange Finn Sparrow. Bred & owned by Fade to Grey Farm. Retained. Buckskin (to grey) Purebred Connemara filly out of Kerry Meadow’s Lily. Bred & owned by Cathy Snyder, Michigan. 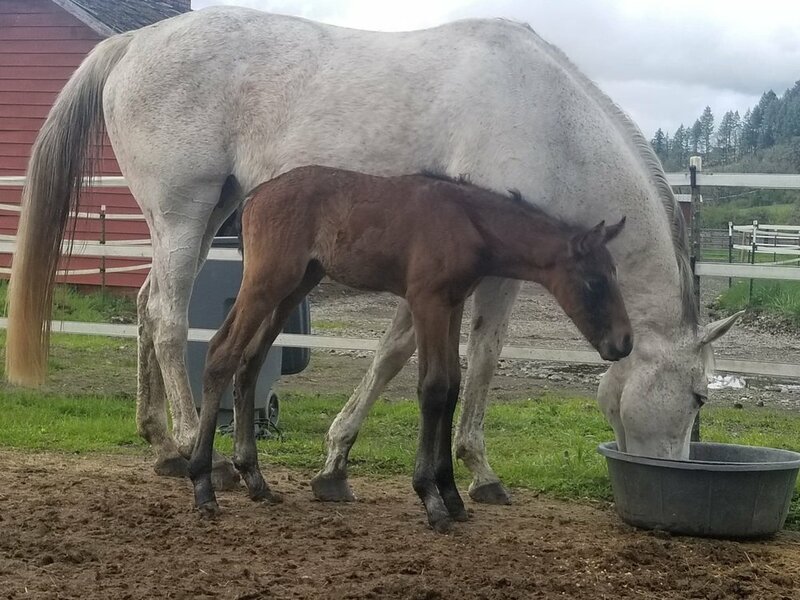 Bay (to grey) Halfbred Connemara colt out of Siberian Fox, an Oldenburg Approved TB mare. Bred & owned by Justin & Lindley Leahy, Carlton Connemaras, Oregon. Chestnut Roan (grey) Halfbred Connemara filly, out of the TB mare, Cor Encore. 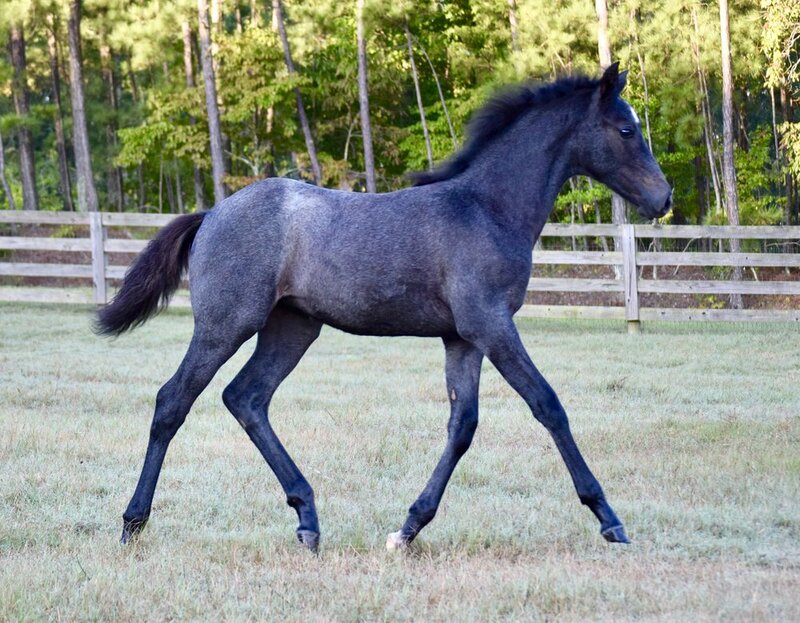 Bred & owned by Megan Gosch, Wood N Horse Stable, GA.
Smokey black or brown pinto (possibly grey) Halfbred Connemara colt, out of a paint mare, Tallula. Bred & Owned by Margaret Martin, Ga.